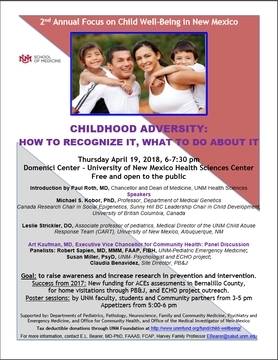 Event Thursday Night Focuses on Solutions to Help New Mexico's Kids. 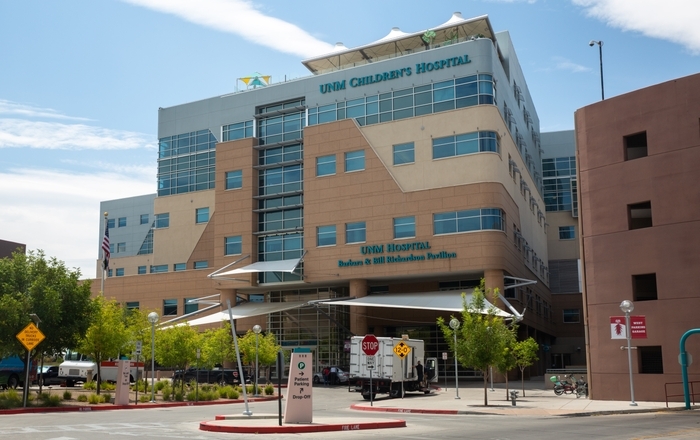 As a physician and professor of pathology at the University of New Mexico Health Sciences Center I often see the heartbreaking consequences of child neglect and abuse firsthand. I participate in the post-mortem examination of children’s brains at the Office of Medical Examiner, where it is obvious that too many infants and toddlers are dying from non-accidental trauma. This is just one of the many needless cruelties endured by New Mexico’s children. A third of our kids live in poverty and 41 percent live in single-parent households. For education, we rank 50th in the nation, with an astonishing 79 percent of 8th-graders not proficient in math, and 77 percent of 4th-graders not proficient in reading. Child well-being in New Mexico ranks among the lowest of any state – 49th out of 50 states overall, according to the 2016 Kids Count report from the Annie E. Casey Foundation. 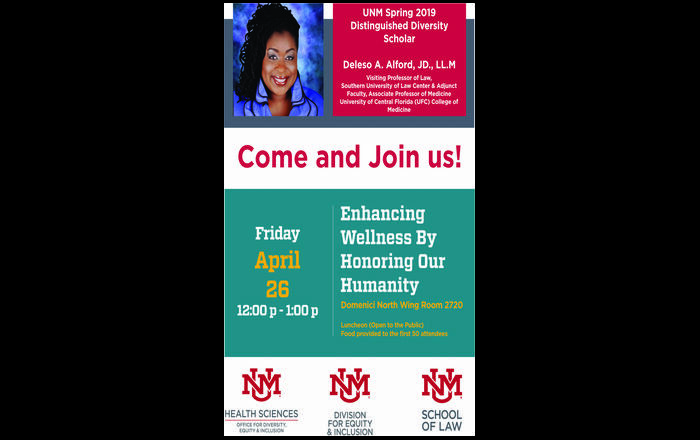 That’s why we’re sponsoring the Second Annual Child Well-Being Symposium at the UNM on Thursday, April 19. We’re bringing together faculty experts and community members to talk about finding effective solutions to this problem. We’ll share our perspectives and present emerging tools that improve diagnosis. In my lab, for example, I am developing biological tests to determine the child's well-being and inform on the need for intervention. We know that when children are not nourished and cherished, but instead are neglected – or worse, beaten – their emotional, intellectual and physical development is stunted. They are likely to have lifelong mental, spiritual and physical health problems and to die at a younger age than normal. Parents who themselves were abused in childhood are more likely to mistreat their own kids. But this situation can change if we all recognize it and commit ourselves to fixing it. It will take the whole village – parents and grandparents, community leaders and teachers, as well as health and educational systems. 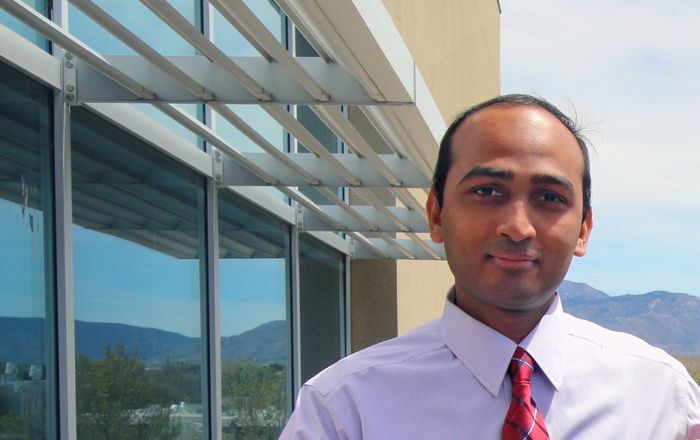 At UNM, we are doing our part, in our role as health providers, educators, and biomedical research scientists. Working together with partners throughout the community, we can look forward to the day when New Mexico’s children are no longer in harm’s way. Elaine Bearer, MD, PhD, is the Harvey Family Professor of Pathology in the UNM School of Medicine. To watch the event, please click here. It will be available for viewing long past the event. Please see a larger version of the flyer here. Symposium is Thursday 4/19 6pm-7:30pm.